Before l discovered this recipe l had been eating my salads plain which was fine, but l used to love salad dressings but had to stop eating all store bought ones. 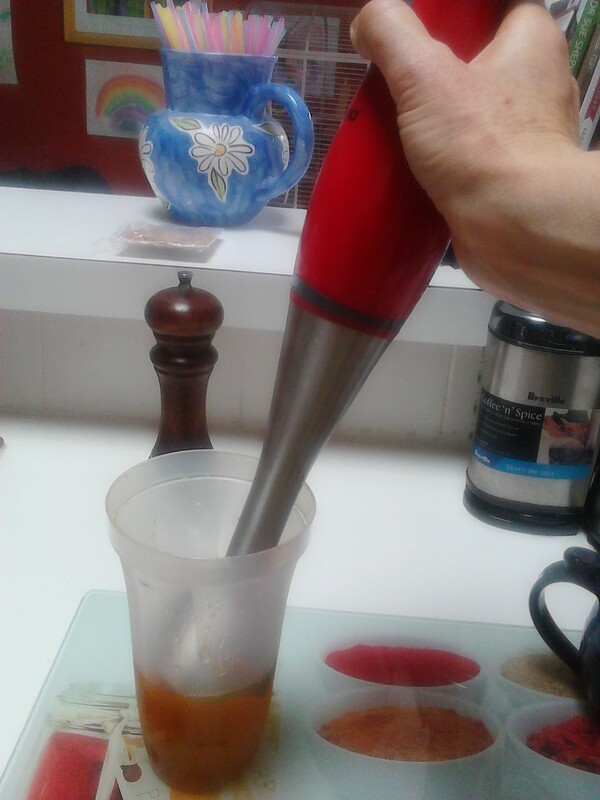 This recipe has been adapted from the Gawler Foundation Salad Dressing recipe in the book Eat Well Be Well. I have left out the mustard and garlic but you could add them in if you like those foods. Juice of half a lime or lemon. I would advise not to buy the regular apple cider vinegar from the supermarket. It tastes like poison to me. 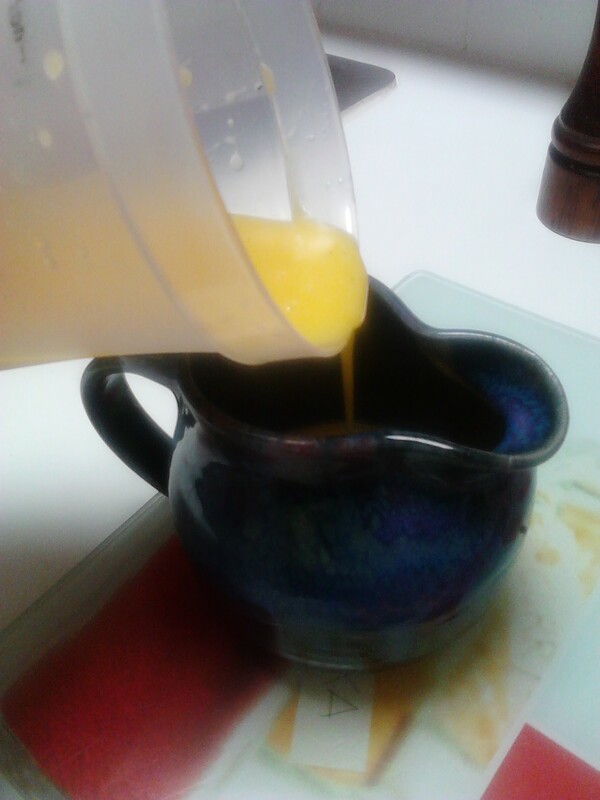 I use it with water to soak my fruit and vegetables before juicing to get the chemicals off. 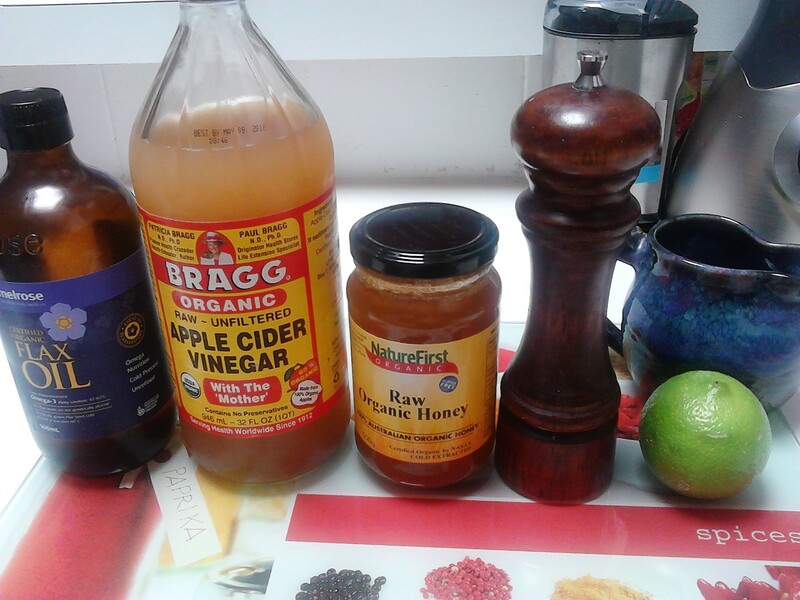 The organic apple cider vinegar is an aquired taste but l really love it now and it is well worth spending the extra money. I bought mine from Bulk Wholefoods on the Mornington Peninsula.